Any team members still hunting? I know it's been a lousy season for most of the team, and we are not contenders this season, but I was still wondering, is anyone still hunting? Or are we done? Re: Any team members still hunting? 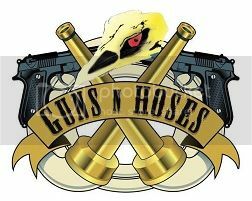 I think Guns& Hoses is done for this season dangit. Stick a fork in me, I'm done ... for this season. Have a safe and enjoyable summer. On the bright side, we just picked up a new 100 acre tract at my small club in SC. I pulled the first set of game cards today and was pleasantly surprised to see multiple turkey pics, including some nice gobblers. Looking forward to next season already!!! Thanks for the season guys. See you back here next year. Rut, stay in touch. We've got some turkey's that need killin in different states. Plan as of now. Iowa and Missouri combo. Calif early season. Maybe a Florida trip, reservation God willing. And I'm sure an Idaho trip. I'll be in touch soon Doug!! Looking forward to it brother! !